It’s time for a little personal post. I’m finally starting to catch my breath this wedding season and I thought I’d share why I haven’t been blogging lately. It feels a little weird to me to go months without posting without giving an explanation. So where have I been? 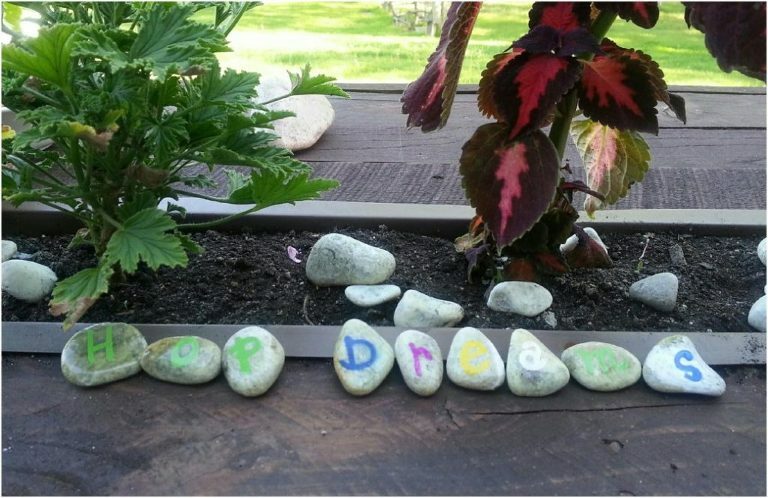 Well to start, in January Scott and I officially started 2 new businesses. Last year we had this crazy idea and dove in head first, even though it could mean breaking our necks. And so we decided to do it. We bought the property last July and Scott and I started dreaming of hops and weddings and we began working on our idea to make it a reality. And with help of the MISBDC, EDA, MSU Extension, Techport, Spartan Innovations we are on our way. The end of 2015 left us reeling when we presented our new business idea for Hoppily Ever After in the Port Huron Greenlight Competition. We spent months preparing and in December we pitched our idea to a panel of judges. We had 4 minutes to cover our entire plan in a “Shark Tank” style presentation. I was so nervous, literally shaking in my boots up there. But not Scott, he’s a natural. That’s one of my favorite qualities in him. His ability to stay calm in any situation. Some of our family came for support and we all agreed that there were so many great ideas and amazing businesses in the competition. Some of them already doing great things for the community so when they announced Hoppily Ever After for 1st place we were taken completely by surprise! photo courtesy The Times Herald. Read the article here. 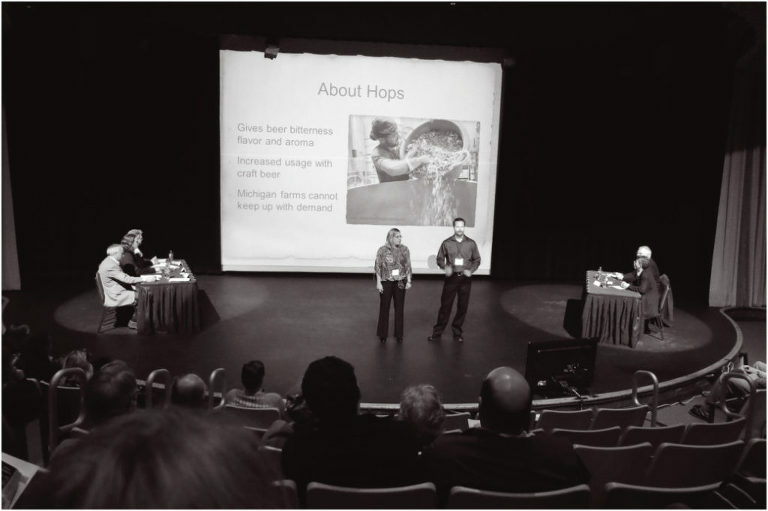 We spent our winter learning all things hops and beer related. We researched varieties. We read as much as we could about farming and equipment. 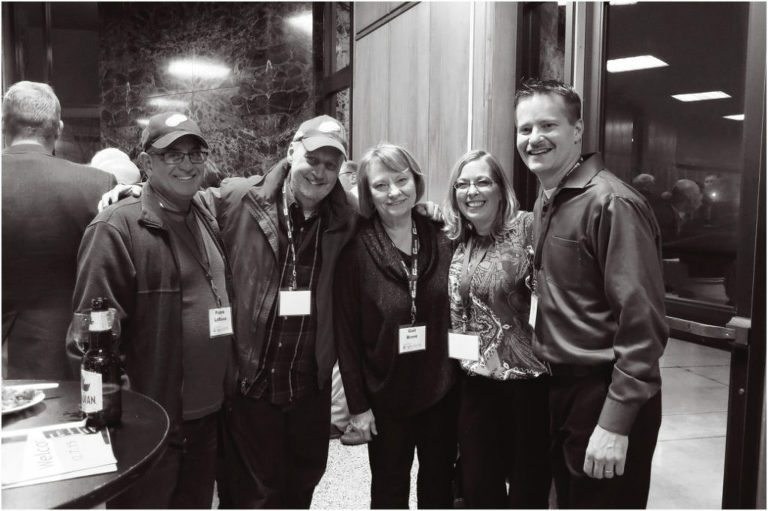 We researched the hop and beer industries, attended the Great Lakes Hop and Barley Conference, spent lots of time talking with other farmers and with the help of new found friends at the SBDC we created a business plan. Our win at the Port Huron Greenlight Competition got us an automatic seat in the Michigan Greenlight Competition that would take place in March. So we worked on polishing our presentation and getting ready for the next competition. I’m serious when I say that we didn’t think we stood a chance. We were going up against start-up businesses that were going to change the world developing cures for tuberculosis and marijuana breathalyzers and we here we were dreaming of hops, love and beer. Regardless if we were going to win or not, we had a great time and it was an awesome experience to be a part of. Turns out they liked our pitch and we won $1,000 for most creative and original idea! 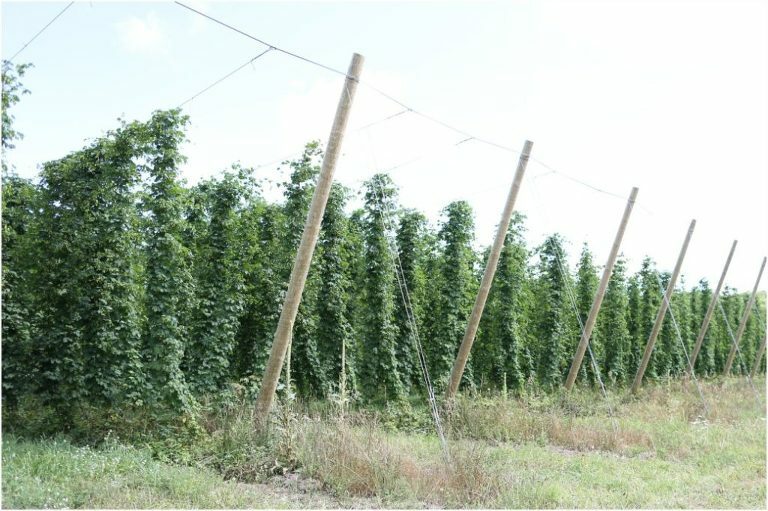 This spring we started making our idea and dreams a reality when we installed the trellis system and planted our first 323 hop plants on our new farm. We created a space for a wedding venue. We started clearing land and creating spaces for gardens and an alternate ceremony site for when the hops are not in season. We’re learning to become farmers. We’ve had to learn about broken down equipment and weed control. We’ve literally put our blood, sweat and tears into this summer. It has been some back breaking work. Most nights this summer we watched the sunset from bed, too exhausted to stay awake past 9:00. We harvested for the first time on our 14th wedding anniversary. Our goal of getting the plants around the ceremony rooted worked and we got to pick cones! This year has been the craziest experience. The physically hardest. The busiest. The most gratifying. The most exhausting. And I’m so proud of us. I’m proud of what we’ve created. Where we’ve taken this crazy idea. And there’s no way we could have done it without the support of our family and friends. Specifically these four. They’ve been here all year long. They’ve busted their butts for us. They’ve bruised and bled with us. They’ve listened to us and helped us through the days where we wanted to break down and give up. They share their knowledge and their labor. And we are the luckiest people in the world to call them our friends and consider them our family. Corey, Jessica, Brad and Tracy, there aren’t enough words to thank you.